Dressage WA is thrilled to bring five times Olympian, multi-medal winning rider and coach Carl Hester MBE to Perth for an intimate Masterclass on Monday 14 October 2019. 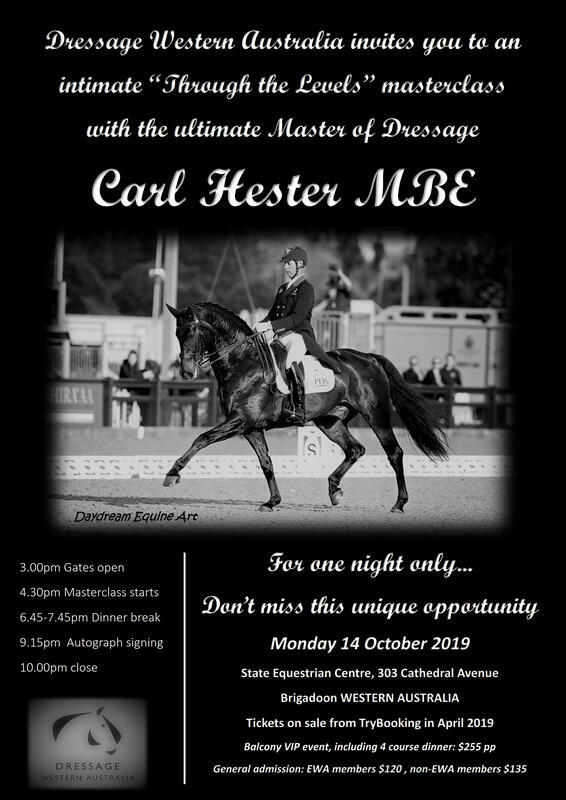 On his way from the UK to New Zealand, Carl will touch down for a one-night only “Through the Levels” masterclass at Western Australia’s State Equestrian Centre. 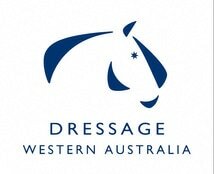 ​We guarantee you’ll be amazed at the way Carl works his magic with some of WA’s best horses and riders. This masterclass isn’t only for dressage enthusiasts. Carl is hailed worldwide for his approach to training and this masterclass will be an amazing experience for anyone who is passionate about working with horses at all levels. Seats are limited for this exciting event and will go on sale in April 2019. Get in early, as they are expected to sell out quickly! General admission: $120* EWA members, $135* non-EWA members (note: members' names required AT THE TIME OF BOOKING for verification purposes). Balcony VIP event, including four-course gourmet dinner ** and two drinks (beer, wine, champagne, soft drink). Further drinks may be purchased from the bar. Full table service included: $255* pp. Whole tables of 4 or 8, or individual tickets, may be purchased. Please note that the vegetarian option, or other dietary requirements, must be selected/advised at the time of booking. While the meals do not contain nuts, we also cannot guarantee the kitchen or serving area is a nut-free environment. Carl Hester’s achievements are legendary, and he is without a doubt the world’s ultimate Master of Dressage. 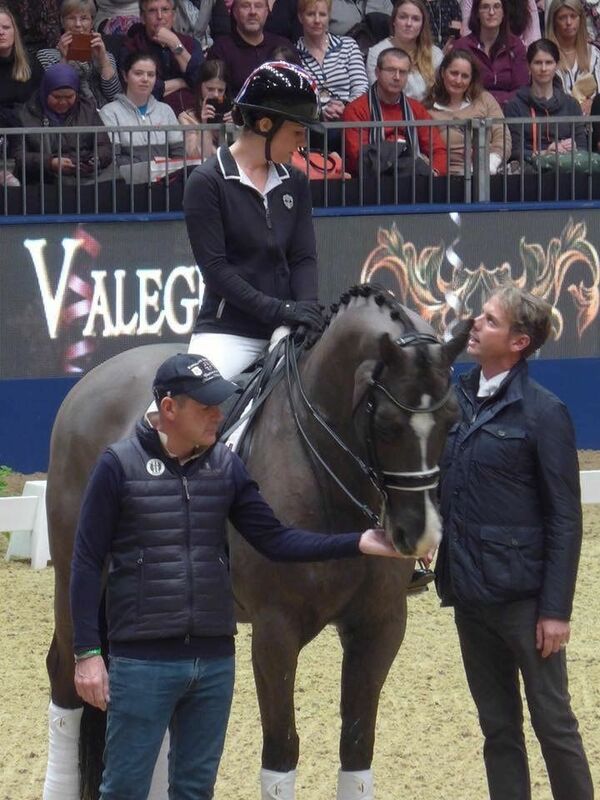 ​In addition to his personal success, he has also coached many of the world’s top riders, including current triple world record-holder Charlotte Dujardin, pictured atop the world’s most famous ‘dancing horse’ Valegro at the 2016 London Olympia Horse Show. Carl Hester will be selecting the Western Australian horse and rider combinations he will work with in his Perth Masterclass. More information on how to apply for this once-in-a-lifetime opportunity is coming soon! 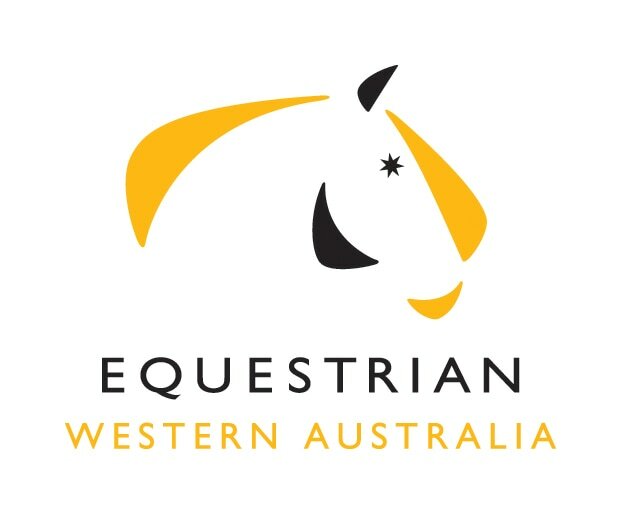 Carl Hester’s masterclass is being held at WA’s State Equestrian Centre, which is centrally located in the picturesque Swan Valley region just 25 minutes from the city of Perth. 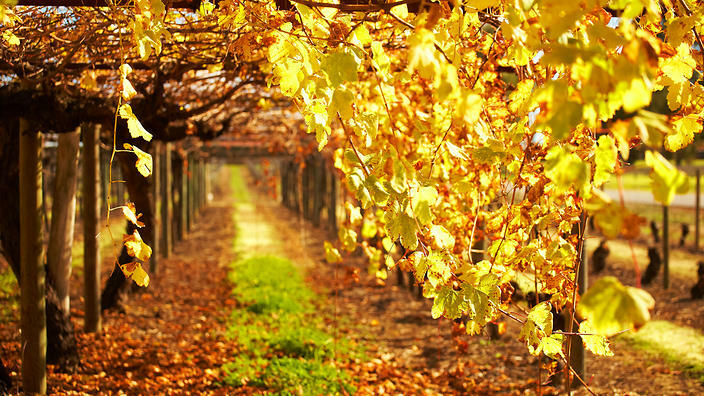 The Swan Valley has been home to some of WA’s best vineyards since 1829 and it is now one of the state’s premier tourist destinations, overflowing with world class wineries and breweries and a full range of accommodation options. ​There is much to see and do in the Swan Valley, so make the most of your trip to Perth for this once in a lifetime masterclass and turn it into a holiday to remember forever.